RECEIVE ONE COMPLETE PACKAGE AT A DISCOUNTED RATE! Customize your package by choosing the options you want below! We know that planning a wedding is hard work, and we want to try to make your life a little bit easier by offering everything in one big package! Choose which options you want below, and we'll send you a quote. Damon Bilger Weddings couldn't have been a better choice for my husband and I. When we first met with Damon, he helped us curate our wedding package to include all the services we needed and wanted at a cost that worked for us. We chose to book four services through Damon Bilger Weddings and couldn't have asked for more. Damon and his team of photographers were great. 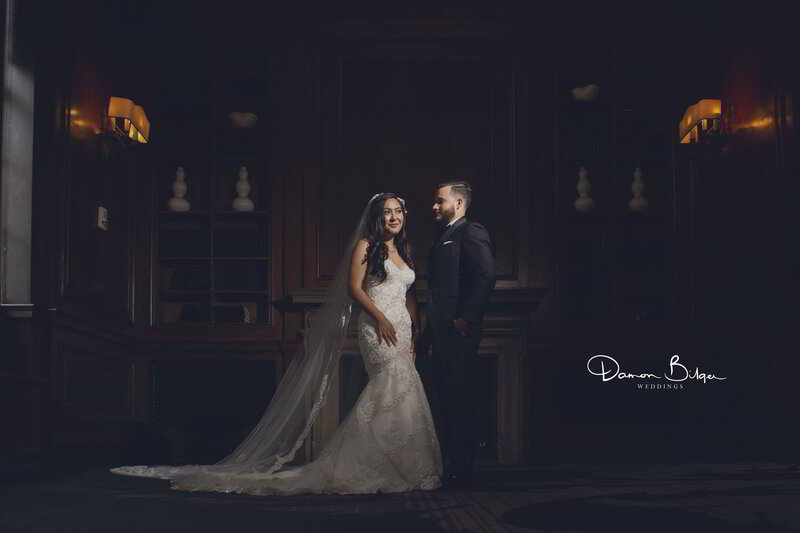 They made us all feel comfortable behind the camera and our photos came out beautiful. Then we also had a team of 2 videographers. They were friendly, made us all feel at ease being video taped. My husband and I will be watching our wedding video this weekend. We also booked our photo booth and DJ with Damon. Everyone had so much fun with the photo booth. Damon found a sequin background color that worked with our wedding color scheme. He even used the background from our wedding invitations for the photo strips that our guests received. The DJ Damon booked for us was the absolute best! He took his time to get to know us and the music we liked. He helped us work with our venue on the timeline of events so that the night would run as smooth as possible. Our guests are still talking about the great DJ that got everyone on the dance floor! Overall all the services were perfect and Damon made it easy to discuss and coordinate all of it. It was nice having one person to talk to and organize all four services. Select from these choices in the form below! Customize this package by adding only the items you need. We'll use this to create a custom quote for you, and we'll work with you to make it perfect! Please double check your email! Required field! Choose Your Options For Photography: Required field! Choose Your Options For Video: Required field! Choose Your Options For Photo Booth: Required field! Choose Your Options For DJ: Required field!